Find My Workspace lists over 95% of the business centres market in Cwmbran. Simply click Request Quote to check pricing for one office, or Add to Basket for multiple offices. 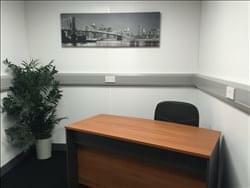 Modern offices in a secure facility with 24 hour swipe card monitored access and security on site.